Please check in 10-15 minutes prior to the start of your appointment. This will give you plenty of time to change, and begin relaxing. We offer refreshments for all of our clients to enjoy during their service. If you find yourself unable to keep an appointment, we request a 24 hour notice. Guests who do not honor their appointments or cancel in less than 24 hours may be charged a cancellation fee. It is possible we may have to shorten or re-schedule your appointment. If your treatment is shortened, it will end on time so that the next guest will not be delayed. We hope you understand. Availability differs between each stylist. To ensure your accommodation please book 2 to 4 weeks in advance. Clients are welcome to book ahead for their next appointment when checking out with the front desk. 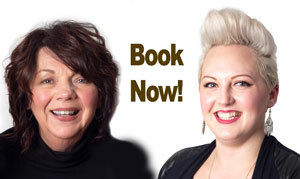 Many of our stylists are booked a few weeks out. Please notify our salon coordinators when reserving your appointment. For the comfort of all our guests and the enjoyment of your experience, no unattended children under the age of 12 are allowed in the salon. Clients are welcome to bring their cell phones with them to their appointment, however, we ask that you please refrain from using it during your service or when checking out. Payment is made at the end of your visit at the front desk. We accept VISA, MasterCard, Cash, and Personal Checks (with a valid driver’s license number). If using a gift card, we ask that you bring it with you to your appointment and present it at the time of check out.